Mark Davies has been in the IT industry since 1993 – spanning 24 years, and has seen his fair share of IT projects. He has been involved with Progress OpenEdge and related products since 1994. Mark started his career as a Junior developer in PIC BASIC at Auto Cable Industries where he quickly learned the tricks of the trade in day-to-day business operations and the software development life cycle while maintaining business applications. He quickly adapted to new technology and was introduced to Progress OpenEdge shortly after joining Mediscor as a junior Systems Administrator – here he started to get involved in operating systems such as Sco Unix and Linux. In just a few months his curiosity to understand the business application got him interested to learn a new development language and this was where he had his first introduction to Progress OpenEdge – version 6 back in 1994. Within a year he proved himself as a vital member of the development team and was one of the first in the organization to embrace the new GUI version of Progress’ new IDE and started to develop and modernize the company’s existing applications. 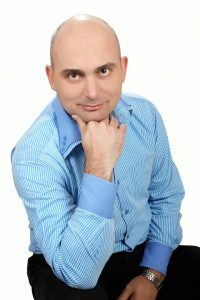 In mid-1997 he joined Triple-S Computers as a Senior Developer in Progress OpenEdge where he maintained and developed new functionality for an Australian owned company for their application called ADAPT which was customized for the South African market. In early 1998 Mark joined MIP where he got a chance to really explore all the aspects of the Progress product range. He was one of the key developers to develop a framework called Astra and this product was later adopted by Progress (in the USA) and was then called Progress Dynamics. Whilst employed by MIP, Mark was the lead developer and Project Team Leader of the South African team of developers to grow and maintain this new framework. He completed various products during his time with MIP and proved to be a vital part of the company’s Research & Development team where they developed the company’s first web-based framework. In 2005 Mark saw that there was a need for Progress consultants due to the shortage of good resources in South Africa and decided to go out and consult to the various Progress Development partners in South Africa. The first of which was Dovetail Business Solutions, a logistics company that wanted to modernize their existing character-based application to a new modern Windows-based application. Around this time Progress Dynamics was already released and well underway and they, in partnership with Progress South Africa (REALTIME / AIGS), started to develop their new application called FreightWare in Progress Dynamics. Here, Mark was the lead Architect, Designer and Development team leader and developed the company’s first GUI application. Automate – Consultant with development of the NX product. Modernization of their DWP-based application. Various other aspects to assist them in improve product performance and deployment issues. Shortly after Progress OpenEdge released their first OO version of their language, Mark dove right in to learn the new concepts and review the advantages that came with this new technology. Within 2 months he developed a framework to use ProDatasets that was the heart of any new application to use OO.NET. Shortly after this he introduced this to DigiData who wanted to modernize their 23-year old character (CHUI) application to a modern Windows-based look-n-feel and this lead him to develop his own GUI.NET framework to speed up the development process. Mark enjoys development and developing toolsets for other developers to speed up their mundane daily tasks and has excelled in this field for the past few years. Microsoft® Certified Technology Specialist: .NET Framework 4, Data Access. Microsoft® Certified Technology Specialist: .NET Framework 4, Service Communication Applications. He knows that in IT, there is always something new, you have to keep on learning and he is continuing to stay on top of new development in both the Microsoft and Progress OpenEdge technologies. Mark does net set his focus on any single language or technology and has since continued to improve his skills and learn new web and mobile technologies to ensure that he stays on top of his game. Outside of work, Mark is a real family man and enjoys spending time with his family and enjoying life. He is a dedicated father and husband that rely on his faith and his fellow man. He is passionate about his work and aims to please.